It is not possible to reliably identify Polydesmus millipedes without examination of male gonopods or female epigynal structures. Immatures cannot be identified. Care needs to be taking to separate this species from other widespread species such as Polydesmus angustus, Polydesmus coriaceus and Polydesmus inconstans. This is a frequent and widespread species in Britain and Ireland although records from Ireland and northern Scotland are relatively sparse. It has been found in a wide range of habitats, most frequently in woodland (55% of records) but analysis of the recording scheme habitat data suggests a strong association with wetland. Blower (1985) considered it a woodland species and Kime (1995) reported it was usually found in wet woodland. 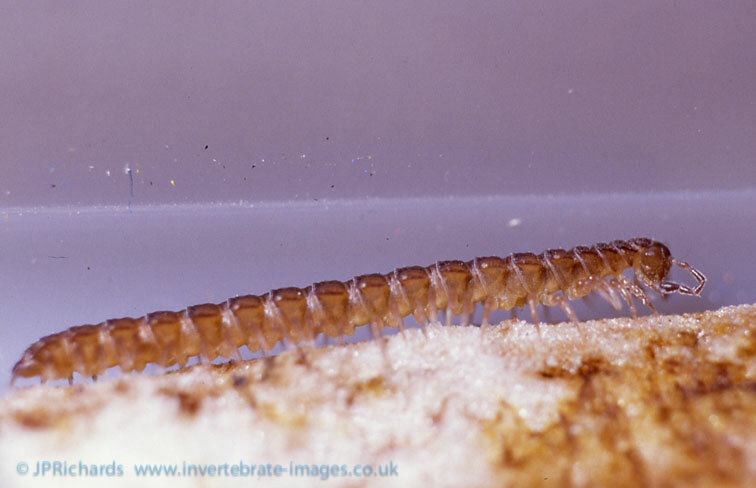 In Belgium the millipede has also been found in a range of habitats but particularly in humid or wet conditions, often in woodland (Kime, 2004; Van Den Haute, 1999) and can survive inundation (Zulka, 1996). Further east in Luxemburg, Germany and Switzerland it is more typical of open habitats such as grassland and arable land (Kime, 1995; Pedroli-Christen, 1993; Schubart, 1934) whilst in the north and east of its European range it becomes synanthropic (Kime, 2001). In Britain and Ireland it shows a strong negative relationship with synanthropic urban and suburban sites. Polydesmus denticulatus is a widespread European species occurring from France eastwards to Russia and from Bulgaria and Italy north to Scandinavia. It has been introduced to Newfoundland (Blower, 1985). Adults have been recorded throughout the year but most frequently from April to September. Blower (1970) reported that animals from a population in a Cheshire woodland matured in their second summer and the peak activity of adults occurred in June and July.